Successfully drying a structure requires the removal of excessive moisture. One basic principle is that airflow speeds up the rate of evaporation. Creating air movement in any problem area will tend to support evaporation and reduce the potential for problems. A second principle of drying is to dehumidify the air in the area being dried. A third is to add heat, as practical. The Dri-Eaz DriForce employs all three of these drying principles. Air is pushed or pulled through air nozzles, either into or out of structural cavities (positive or negative air). In both cases, air movement in the cavities speeds up the drying process. Dehumidification can be improved, when forcing air into cavities, by making sure that the air entering the DriForce is as dry as possible, usually by using one of our low grain refrigerant or desiccant dehumidifiers. Finally, heat generated by the DriForce blower motor enters the airflow output vent. 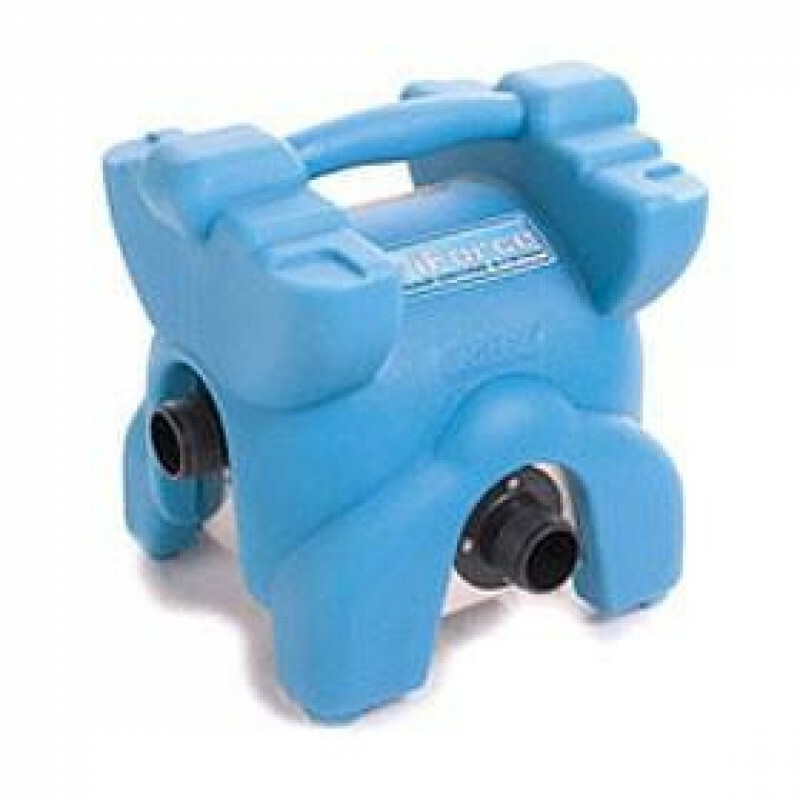 You can purchase this unit in a complete water damaged wall drying system with attachments for drying out wall cavities. TheDriForce can also be used with our Rescue Mat hardwood floor drying system to extract water vapor from hardwood floors. Make sure that all standing water is extracted from the floor before using the DriForce. Do not run liquid through this unit. Speed up the drying of wall cavities, behind cabinets, under stairwells, and around tubs & showers. Use positive or negative air pressure to force in, or vacuum air out. Averages just 3 amps, so you can run multiple units off of the same circuit. This is a review for the Dri-Eaz® DriForce® Wall & Floor Drying Blower.